Graphics are misshaped or don’t appear correctly. Note If your screen is freezing or your console stops responding, see the Screen Freeze Solution. Solution 1: Clean the disc. If you’re playing a specific game or DVD, try cleaning the disc. See if the problem happens with other games or discs. If the problem still happens, make sure you’re using the correct AV cable and console display settings. Note If you’re using a multicomponent system, connect the console directly to the TV to simplify troubleshooting. On the right side of the console, locate the hard drive cover release. It’s close to the back of the console. Try borrowing an AV cable from a friend for testing. If another AV cable doesn’t resolve the problem, try connecting your console to another TV. 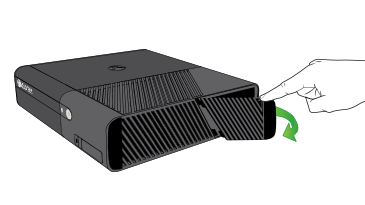 If these solutions don’t fix the problem, your console might need to be repaired. Start an online repair request. 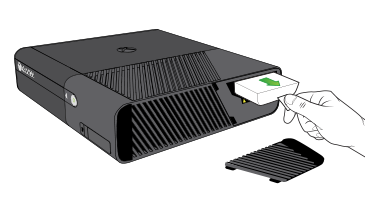 Would you like to contact Support regarding the "Troubleshoot Xbox 360 display problems" issue you were reading about or a different issue?